We’ve been pretty busy for the month of May and it’s nowhere near over yet. Since the run up to Student-Led Conferences at the end of April, we’ve worked on our Mother’s Day paintings; completely cleared out (like June) then restored (like September) my classroom for Mayfair; presented to the WV School Board our collaborative work on digital literacy, guided inquiry and the Big Buddy program for “Penguin Movie Magic;” and then held “Welcome to Kindergarten” for the incoming Kindergarten children. Next week we will be having team meetings for Sports Day which falls on Friday, June 1 this year. It’s probably a fair comment to say we have a lot going on right now. As creatures of habit, we’re certainly looking forward to having a return to our calm and quiet routines so we can just enjoy being with our students in our classrooms for the last few weeks of our Kindergarten year. There’s no doubt in our minds that the children’s self-regulation has been sorely tested with the schedule changes and upheavals over the past few weeks. And we’re pleased to say that for the most part, the children have been able to draw upon their knowledge of deep breathing for calming no matter where we are (line-ups, waiting for assemblies, listening during our tennis lessons) and are still taking our practise time for self-regulation strategies quite seriously. We’ve noticed that the children’s breathing postures have really improved over the school year, they are able to settle themselves quickly to listen to calming music and they are picking up on the social cues for when they need to regulate their own emotional state (the teacher is explaining a difficult concept so they must listen; lessons are getting longer and more complex with numerous steps so they must engage; we had a fire drill last week where they must focus). We’ve continued to view our children and lessons through a self-regulation lens where we the teachers act as co-regulators to help our students self-regulate, but we also have been careful to observe, reflect and adjust when necessary, our lessons so that during this busy time our children are not overwhelmed by everything going on around them. We’re working on our new Science Unit on “Growing Things” now and enjoying the first few Sharings our children are bringing in. 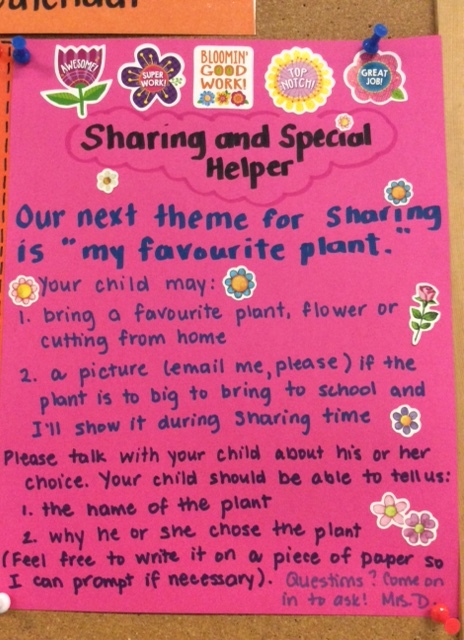 For this round of Sharing and Special Helper, we’re asking everybody to bring in their favourite plant. We’re happy to receive a photo of your garden or of a plant that’s too big to bring in to school. We had a fun lesson on what plants need (food, fertiliser, water, air, time, love) and made these lovely folders to hold our school work. 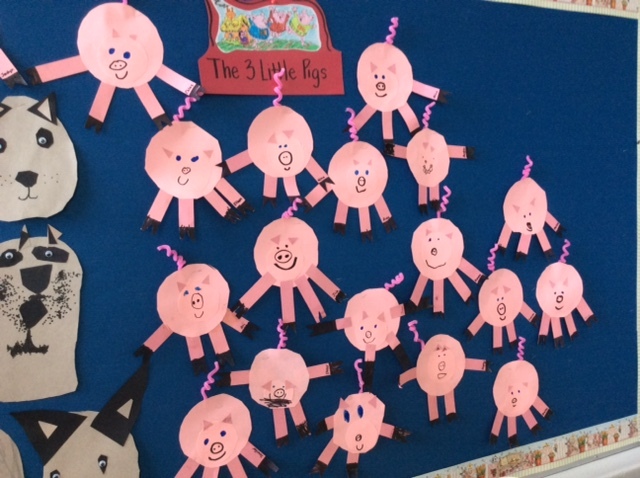 In Fairy Tales, we are reading “The Three Little Pigs.” The children are very familiar with this tale, and able to talk about the story in terms of its beginning, middle and end. We’re examining the story element of character, and had a lively discussion about the good and bad characters in this story. We especially enjoyed reading Wolfie’s Secret by Nicola Senior, a twist on the traditional tale where Wolfie actually hides his secret aspirations to become a baker. He’s treated rather poorly by the three pigs once they find out his true ambitions, but like any good story, everything works out happily ever after for wolf and pigs alike. 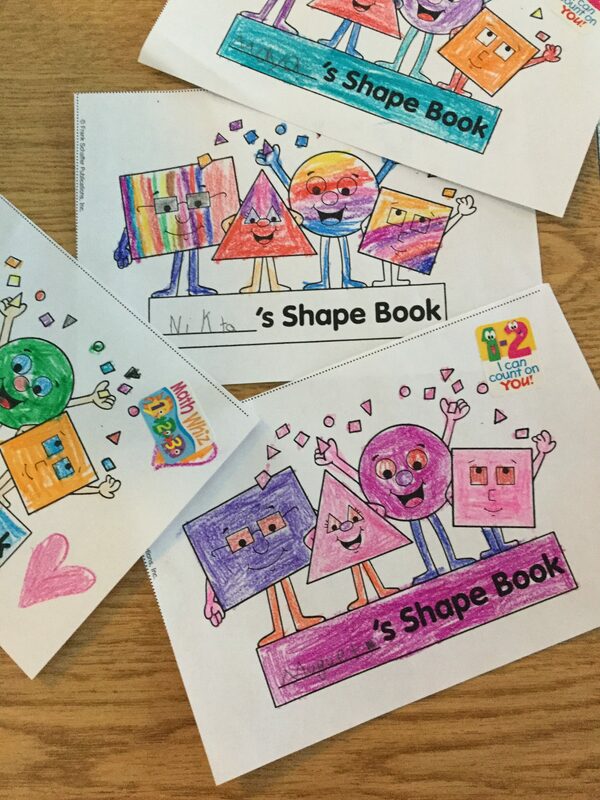 This week we finished our work on squares, and will wrap up our Geometry Unit with lessons on rectangles and triangles. We’ve been having a lot of fun with “shape searches” throughout the classroom and looking around for these familiar silhouettes both indoors and out. We will take a moment here to review what’s happening this week for Sports Day on Friday, June 1. Sports Day is a grand tradition here at Ridgeview. All of the schoolchildren are divided into four colour teams. This year, Mrs. Daudlin’s class is BLUE and Mrs. Campbell’s class is RED. These are the colours our children should be wearing on Sports Day. Parents are welcome to dress up in your team colour and watch the fun. On Sports Day, please arrive on time at your child’s classroom. We will quickly move to our meeting rooms after attendance so please try not to be late. We usually perform our cheers on the playcourt so that is a great spot to meet our team and you can follow your child’s individual team around the Sports Day activities. Our children are placed on mini-teams of students from Grades 1-6. They will be led by Grade Six children around the activities that are run by Grade Seven students. Around 10:40, following the Freezie Break, the Kindergarten children will be brought to the playcourt to meet Mrs. Campbell and myself. We’ll go back to our classrooms and eat our usual snack. We know the children are often really hungry on this morning so please send a BIG snack. Then there will be time for Centres and face-painting by our Grade 7s if the children wish. Please note that Kindergarten children are dismissed at 12 pm on Sports Day from their classrooms. If you have ordered a Sports Day hot lunch, you’ll pick it up from the school kitchen and enjoy a picnic lunch out on the field. This Wednesday is the last Library Book Exchange so please return your book if you’d like to take another one. Mrs. Kennedy has arranged some fun Library Events for the remainder of our Library Days, including a visit from the WV Memorial Library to talk about the Summer Reading Program. Sports Day is Friday, June 1. Please ensure your child has been sunscreen application before coming to school. We will only be outside until 10:45 at the latest, then moving inside for the rest of the morning. Our upcoming Science workshop “Newton in a Nutshell: a focus on force and motion” will be taking place on June 13th. We are asking for a $12 donation to cover the cost of having this mobile science program come to our classrooms. Please make your payment through School Cash online. Every year in Kindergarten Christy and I like to do one digital literacy project with our children. We always enter into this process with mixed feelings. We know our children already spend some time using apps and games on iPads and iPhones and more games on computers: Do they really need more tech time? However, we are also of the mind that creatingwith technology, rather than consumingtechnology, is something we can teach our children in their school setting. 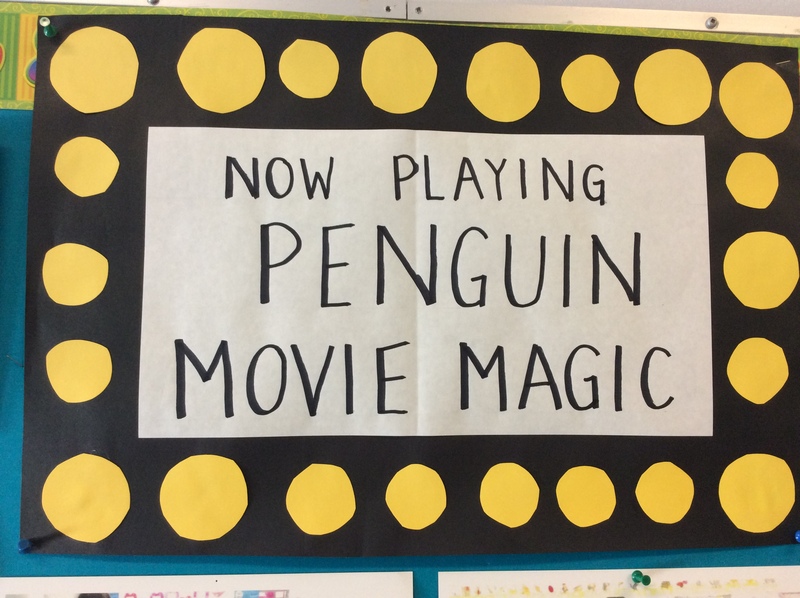 We have the resources to do so and so this year we’ve made something very special: Penguin Movie Magic. In Kindergarten, one of our Science Big ideas is plants and animals have observable features. 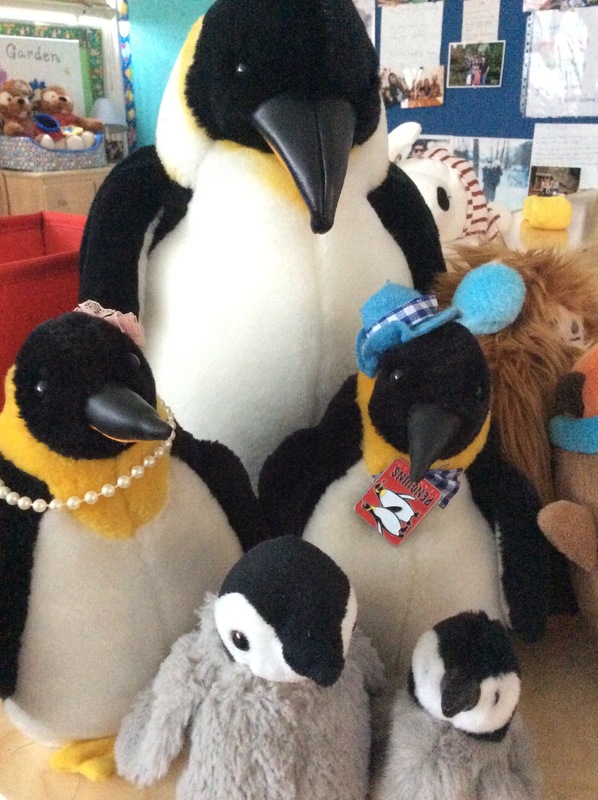 The penguin is our animal of choice to discuss habitat, appearance, young, behaviour and life cycle. For all things digital, we draw upon the experience and expertise of our District Innovation Support Leader (Technology), Ridgeview Grade 7 teacher and BFF Ms. Cari Wilson; Grade 7 teacher Mr. Russ Paterson and our Grade 7 Big Buddies. Cari was instrumental in helping us to establish an internet and social media presence with this website. Mr. Paterson is our Big Buddy teacher and our Big Buddies…well, they were once our Kinders in the former half-day program, and now they are Grades 7s who are very much loved by their Little Buddies. Our goal for each Buddy group was to create a documentary movie about penguins using the Green Screen by Do Ink app. 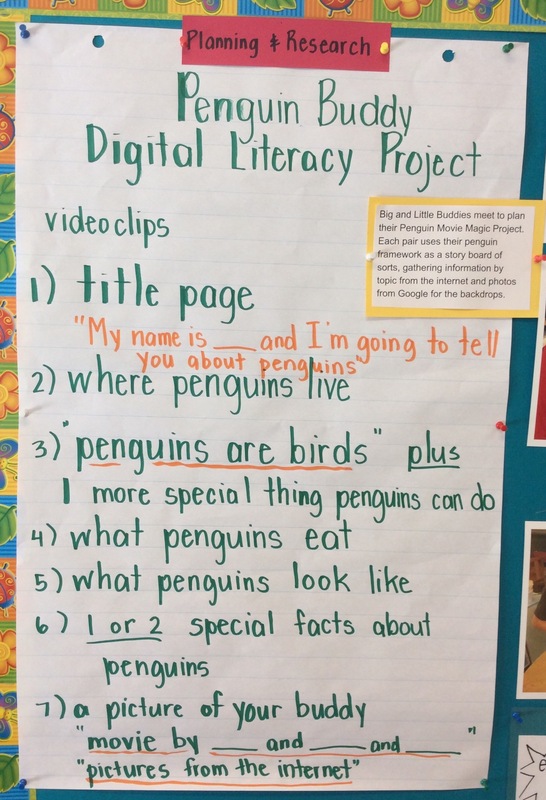 Big and Little Buddies collected information from the internet, and images from Google, for each area of our Penguin Planning Framework. Our framework helps our Big and Little Buddies to be organised in their research, stay focused on specific topics, read for information and practise the skill of note-taking. We wanted the children to tell the story logically so we supported them with a group plan for reference as to how each movie should play out. We discussed our objectives as a large group and wrote up the group plan together. This was also a good time for the Big Buddies to clarify any questions they might have, and a really valuable opportunity for the Little Buddies to see direct instruction in another learning context: how teachers, and students of all ages, can collaborate together as a community of learners. The fun really begins following completion of our research. Each of our Big Buddies, with tremendous patience, encouragement and humour, taught their Little Buddies what to say during filming. The Green Screen by Do Ink app allowed us to superimpose the computer graphics behind the actors. Being of the make do with what you’ve gotmanner of thinking, we used the green paper off of our paper rolls for our green screen. We had several setsdown the Primary hallway so four groups could film simultaneously. Even better, since the completion of this project, our Principal, Mrs. Brady, has bought us a real green screen! Thank you, Mrs. Brady! A great deal of rehearsal preceded the actual filming. Cari acted as gatekeeperto ensure the Kindergarten children knew their lines before going in studio. The Big Buddies would count their Little Buddy in with 3, 2, 1, actionbefore filming or the words would be lost. Needless to say amongst the laughter, repeated takes and endless heaps of praise, this was a learning process that was thoroughly enjoyed by everyone. We all realized that while showbiz might look easy, it is actually a lot of very hard work. In Kindergarten, we use the guided inquiry process. For us, guided inquiry is about play, discovery, exploration and oral language developmentin questioning skills. The Kindergarten plays a lot, as they should, because that is the Kindergarten child’s work at school: to play. We believe that all learning for Kindergarten should be child-centred, hands-on and play focused where their natural intuition for play leads them to discover and explore their world in their own time. Imaginary play, block play, puzzles, dress-up dolls, Lego, playing with language at the Imagination Station, the Dollhouse –it’s all in a day’s play for Kindergarten. Now admittedly, to teach questioning skills, we have to do so by direct instruction but we still make it playful for the children. We begin by placing an object in the Mystery Box. Then we have the children ask up to 10 questions about what might be in the Mystery Box. In the beginning, there is a lot of guessing. But over the 4-5 Mystery Box Inquiries we complete, we notice real change in the sophistication of the children’s questions. Our focus is on the 5Ws (who, what, when, where, why and how) and we help the children re-frame their guesses and beginning questions (is it a….? )to questions they can start with the 5Ws (what does it feel like?where does it live? how does it move?) We also teach them to ask checking questionsto confirm their theory, based on the information we’ve revealed in our answers, about what’s in the Mystery Box. Our focus is for the children to ask questions that require us to answer with more than just yesor no. After 10 questions, the children are allowed to make a guess and amid much clapping and fanfare, the Mystery Box is opened when a correct guess is finally made! 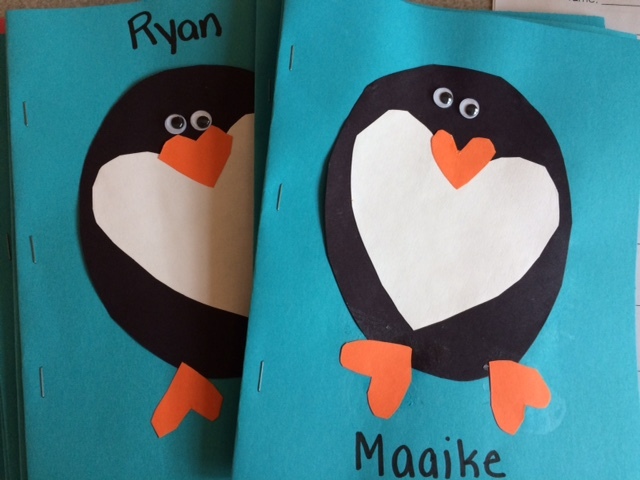 At publication time, our Penguin Movie Magic projects are now completed. We debuted our movies to our Kindergarten families during Student-Led Conferences on April 26, 2018. Our Big Buddies helped us to upload their Little Buddies movie to FreshGrade so each family was able to access their child’s account during the Conferences. 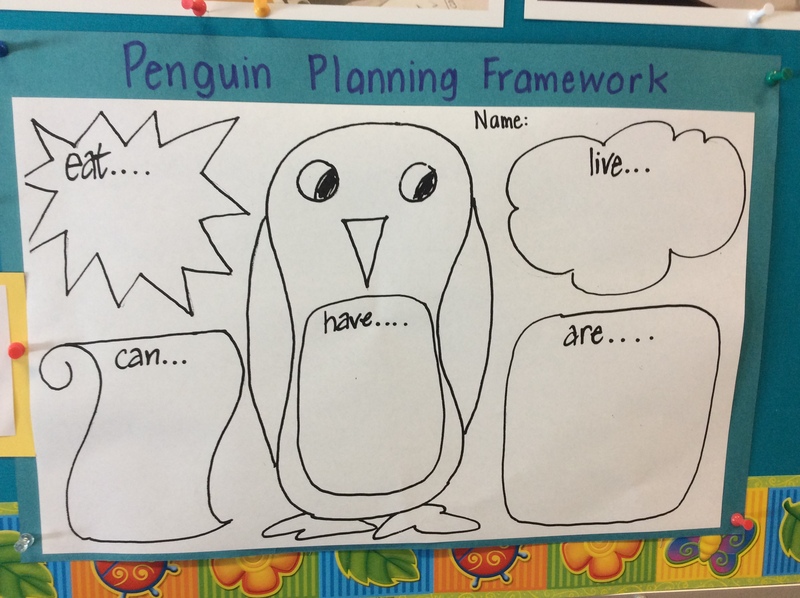 We wanted to note that in addition to their movie, our children also completed response pages for each Mystery Box Inquiry to make their own Penguin Research Booklets. 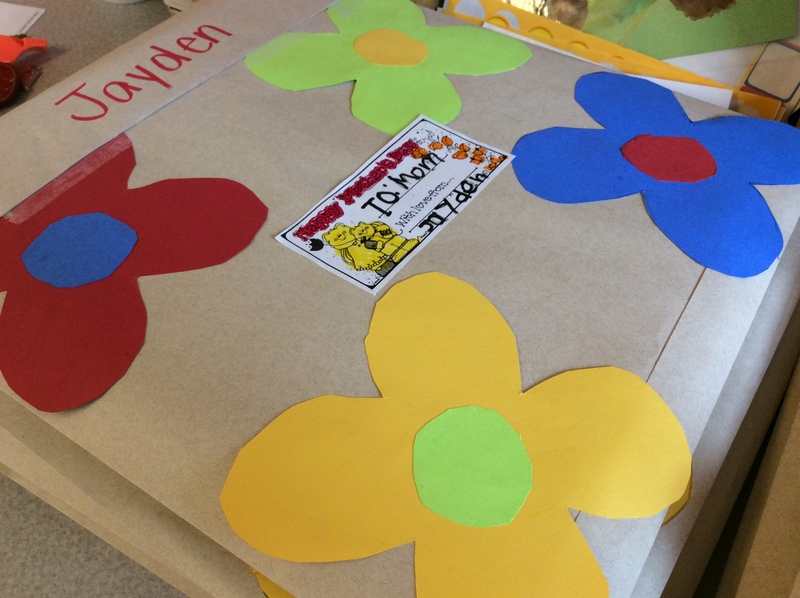 As our children move onto Grade One in a few short weeks, printing their names, colouring and completing frame sentences are important and necessary skills we need to not only have taught, but practised in a meaningful way. Our integrated learning process of building relationships, digital literacy, guided inquiry, writing and presenting is multi-layered and complex, as all good teaching and learning should be to meet a variety of student needs. We’re already read so many stories from the wonderful books the children have brought in for Sharing. We’re reading everything from the traditional tales to the Disney version to fun riffs off of familiar stories (we read The Ninjabread Man and that brought the house down with hysterical fits of laughter which was fantastic). It’s wonderful for the children to learn how writers play with language to create humour. We started our next Math unit in Geometry. We’ll be studying 2- and 3- dimensional figures in class, their properties and classifying familiar items in those shape categories. The weather held up for our nature walk to look at Living and Non-Living things on our school grounds. This was the first lesson for our unit on “Plants are Living Things.” Everyone will have a chance to bring their favourite plant or flower to school for our next round of Sharing. We will let you know when we are ready to begin. We are well into our Home Reading Book Exchange routine. The children know we are just going to exchange our books on three days a week, Mondays, Wednesdays and Fridays. They love to look through the little books and we see growing independence in their remembering to bring in their book bag and choosing their new books. 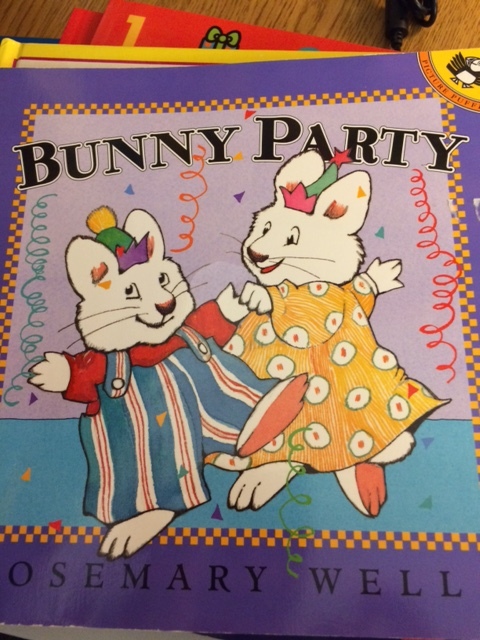 We’ve seen the children enjoy sitting at the table reading through the little books and it’s a very special and joyful time for us to see their developing love of literature. 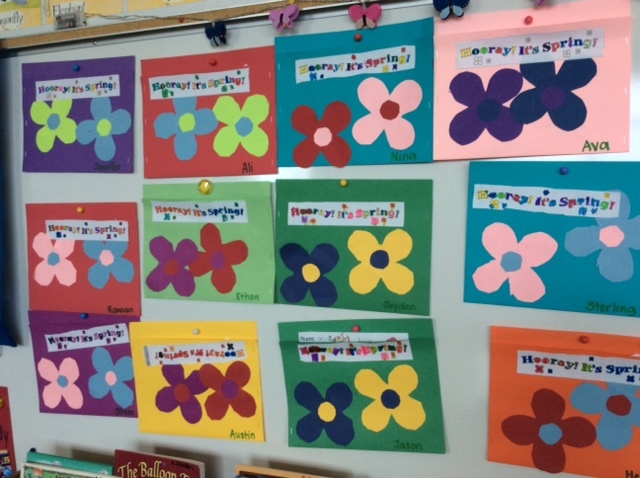 We saw our Big Buddies this week and finished the wrapping for our Mother’s Day gifts. 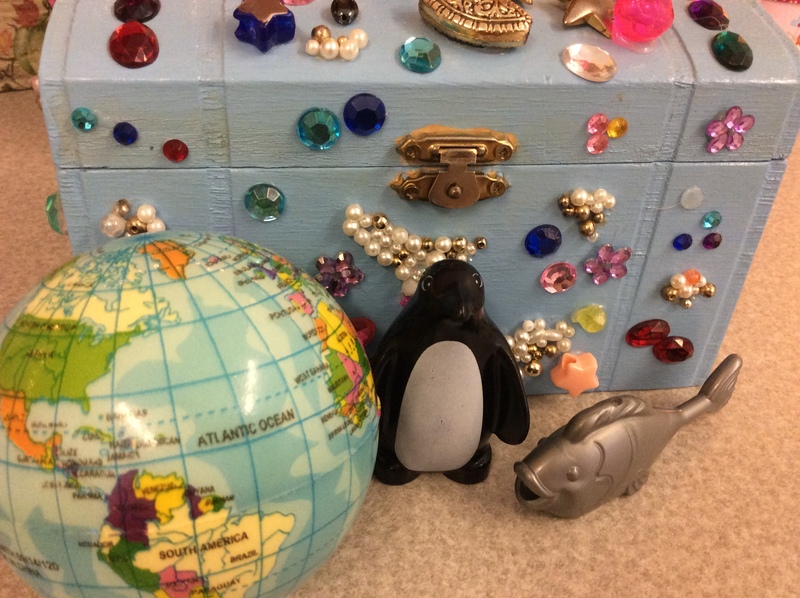 You’ve already had a bit of a preview at your Student-Led Conference but know that the children were very much thinking of their Moms as they created these special gifts from their hearts. There’s a lot of excitement building around Mayfair, which takes place this Saturday, May 12, 11 am-3 pm. Daily donations of books, used sporting goods, tombola bags and today’s cupcakes and cakes for the Cake Walk are coming in and will make for some fun stalls and activities. There is going to be a lot of fun! The sun is supposed to shine so purchase your tickets early, grab your hat and sunscreen and come and enjoy the day! Library Book Exhange on Wednesday. We only have three more weeks to exchange books from the library. On June 1, Mrs Kennedy will be ending book exchange in preparation for her year end library organization. Friday, May 18 is a Professional Development Day so school is not in session Monday, May 21 school will also be closed for Victoria Day. With the warm weather please make sure you child has a non-spill water bottle at school every day. One of our greatest joys as teachers is sharing our love of reading, writing and literature with our young students. It’s important that we work together, as teachers and parents, to create supportive literacy environments at both home and school. 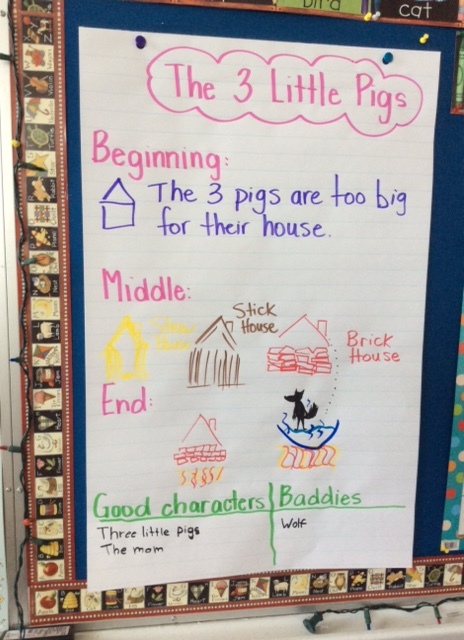 At school, one of our clues for “where to start” is from our children’s home literacy experiences. We quickly learn about our children’s exposure to stories and nursery rhymes, and discussion (listening to others and speaking aloud) and book handling skills. We observe their familiarity with using paper, pencils and crayons and can sense if the children feel that their scribbling, drawing and printed work is, and has been, valued. We build upon those experiences by providing our children with a myriad of activities where they can use their literacy skills and develop them further. The processes of reading and writing go hand-in-hand: Good readers become good writers, and good writers become good readers. One of the most important things we do is provide as many opportunities for oral languageas possible. This includes Storytime, chanting poems and singing songs, brainstorming vocabulary, classroom discussions and teaching questioning skills. In addition to teaching phonological awareness, the development of the children’s oral language is an important part of a balanced approach to reading instruction. 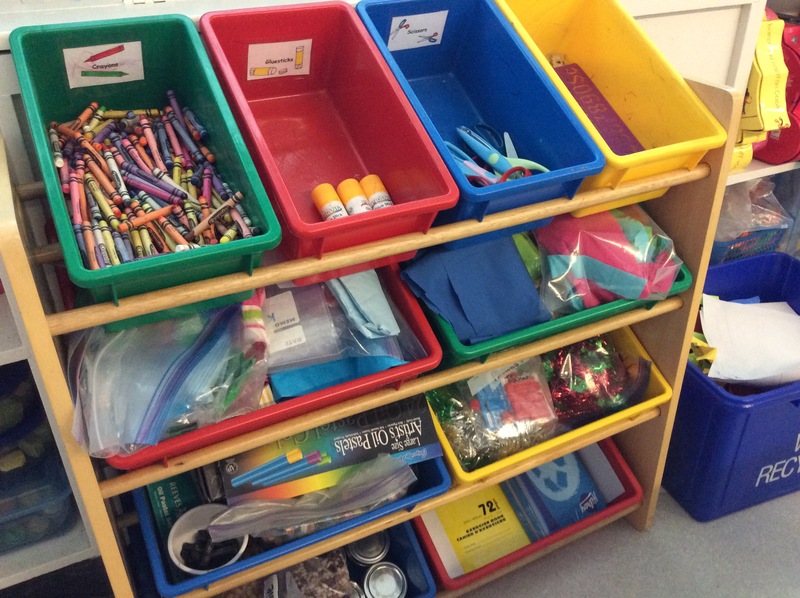 One of the most popular Activity Time Centres in the classroom is the Imagination Station. Here, the children are encouraged to write, draw and create to their heart’s content. We supply colouring supplies, scissors and glue. We add in colourful and patterned paper scraps, stickers, envelopes, small booklets we’ve made from leftover paper, lined paper and any other doodads (scrapbook embellishments) we might have to encourage the writing process. Sometimes we have to create a secondImagination Station at another table because everyone that day has something important they want to express in print. This is all in addition to our daily Alphabet and Theme writing activities. Your children are writing, printing, drawing and colouring a lot in class. This has been one of our most prolific years in Kindergarten. Read aloud daily to your child. As parents ourselves, we can say this is one of the most precious times you will spend with your child. Enjoy every single story because the time will come when your child wants to read independently. Besides the weekly Library Book, build a bedtime story routine into your evening so you can enjoy some cosy time with your child. You can add a little bit of alphabet practice during your story (“Let’s look for the words beginning with the letter S”) and ask questions to develop understanding, but the idea is simply to enjoy reading and the pleasure of sharing a good book together. Sing songs and listen to music. Singing songs and listening to music, like nursery rhymes, is very important to develop an awareness of rhyme, rhythms and patterns. Children learn songs and quickly memorise them; this contributes to their ever-growing oral language base which will help to make them stronger readers. Visit your local library regularly. Does your child have a library card? Do you visit your public library every week? In addition to visiting our own amazing school library and our Teacher-Librarian, Mrs. Kennedy, regular visits to your local public library is a great outing for everyone. Your child can borrow books, audio recordings and children’s magazines, and you can pick up some great new reads for yourself. Your child will love to see what you’ve borrowed to read! Model your own love of reading to your child. Let your children see you reading books, the newspaper, the calendar, recipes, and let them know why you are reading. They are learning from you that reading is purposeful, as well as fun. Try sharing aloud funny things from your own reading, and your child will start to do that with you. Children need to see moms and dads, grandparents and siblings reading. When they understand reading is an activity valued by the people they love, they will come to love it, too. Provide a variety of reading materials. We have a lot of books in the classroom, but we also have a Listening Centre, a Book Nook, reading wands to “read the room,” alphabet puzzles and games and now, Home Readers. At home, your child can also play board games, read the environmental print on grocery packages, the fridge magnets, your shopping lists, the North Shore News and all of its accompanying flyers. Spend time just talking with your child. Respond to your children’s questions, take the time to explain concepts to them and use the correct vocabulary. We all need to model good oral language. The children will love to hear stories about your day, themselves when they were toddlers and preschoolers, and they will especially enjoy stories about you when you were young. Time spent sharing between your child and you, or your child and grandparents, is an opportunity to share the history of your family. Activities such as crafting, baking, cooking and gardening all have their own vocabulary, skills and processes which are not only fun to do, but doing them together creates shared memories of special times. Provide a variety of writing materials. The sky is pretty much the limit for what is available for your child in the way of school supplies and craft materials. In our classes, Mr. Sketch (smelly markers) have been a huge hit every year. With the exception of some inky noses, these are great markers for our Littles. The children are used to using the larger pencils in class, but they do enjoy our fancy pencils, pens, skinny felts, pastels, bingo markers and paints and paintbrushes. We give them a lot of recycled materials like old cards, envelopes, little notebooks and scrapbook paper for cutting, gluing, creating and writing. Colouring book pages continue to be very much loved. The children are very interested in using tape and staplers, hole punches and ribbon scraps to gather their work into booklets. For outdoor writing and drawing, sidewalk chalk is very fun! Model that you are a writer, too. Through your own work, at home or out of the house, you can show your child that writing is an important part of everything you do. Let your child see you write cards, shopping lists, cheques, or a short email so they understand that writing has a purpose. You can respond with interest to your child’s writing, and answer the messages they write to you. We often ask the children what a scribble, string of letters or drawing is all about and they are happy to oblige. You can also take a moment to label your child’s work for her, show him the correct formation of letters or spelling of some words if he asks. Your response demonstrates to your child how much you value their literary efforts. Still looking for more ideas? For further reading, you can visit these two posts where we describe in further detail additional ways to support literacy at home. We’ve taken a much deserved week to slow down and just enjoy playing in our classrooms and getting caught up on some bits and pieces around the classroom. We’re just about finished our Alphabet Books. Some of the children had missed pages due to sickness or travel so they did their best this week to get caught up on at least the printing and receiving their Alphabet stickers! 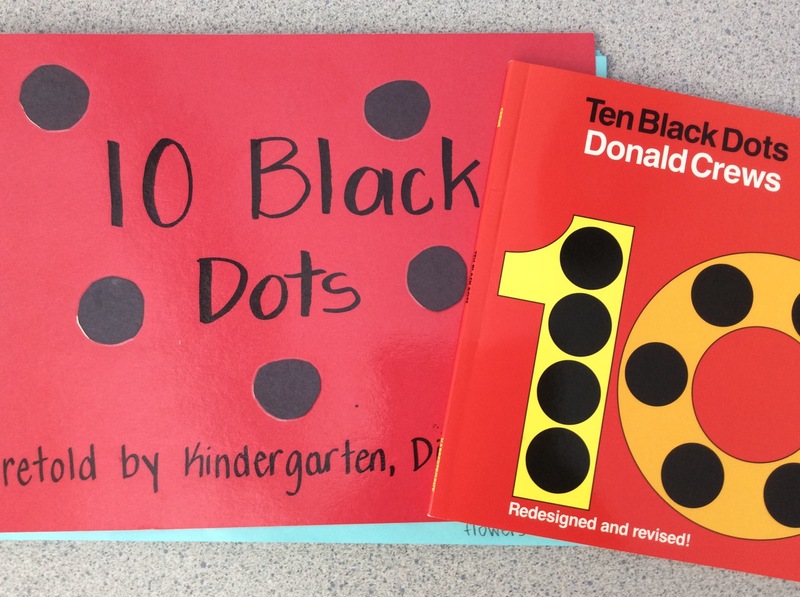 We read the delightful 10 Black Dots by Donald Crews and completed the sentence frame “___ dots can make a ___” for individual pages to contribute to a class big book. The children were asking what happens to all the big books we make every year? Well, we take all the books apart every June, sort out the pages by student and create an individual big book for every child with just his or her own pages. 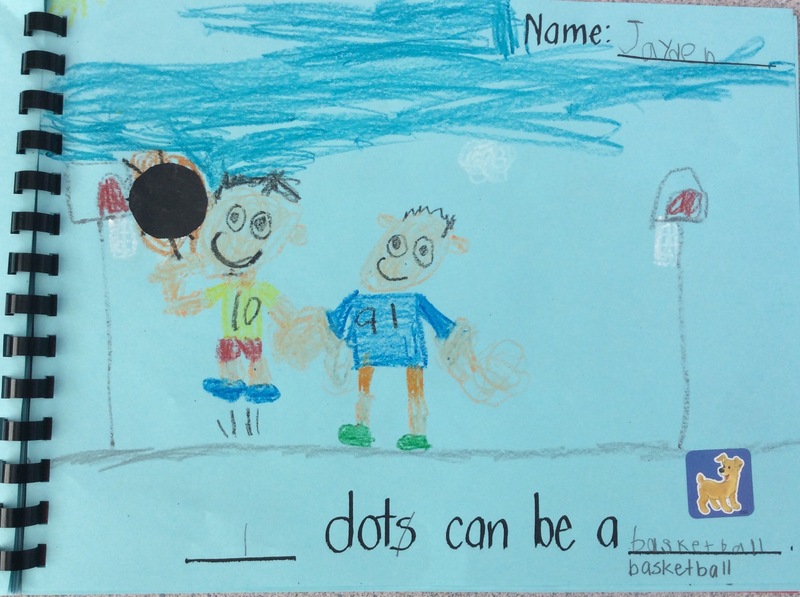 It’s another keepsake from Kindergarten that your child can read over the summer. Speaking of reading, WOW! Did we ever have a lot of fun and excitement this week with our Home Reading Book Exchange! The children diligently read their books each evening and today we had a flood of books returned and ready to be exchanged. 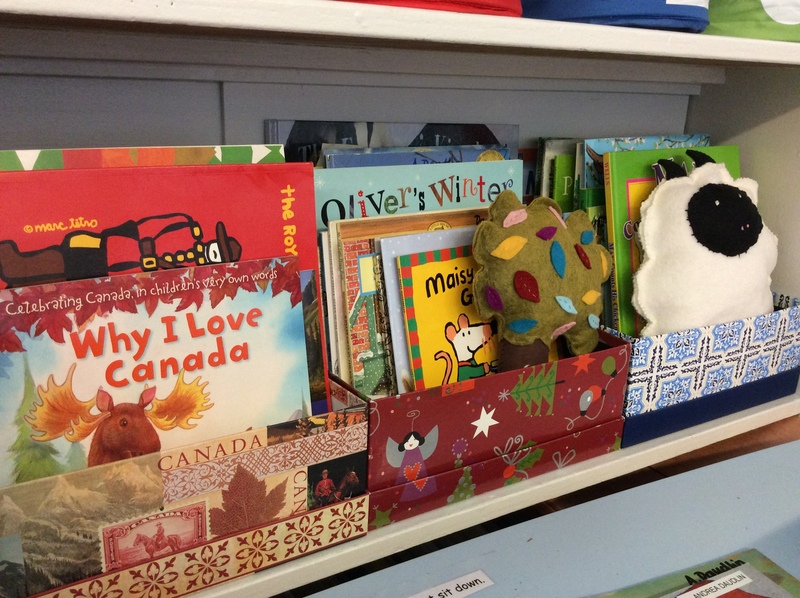 This is such a fun part of Kindergarten for us when the children are eager to read these little books independently. Remember to return this weekend’s books on Monday for the next set. We are going to be asking the children to select the books themselves so not to worry if the books on occasion are a bit too easy (excellent to develop oral reading fluency) or a bit too hard (excellent for you to read and teach some new vocabulary and sight words). We all encounter reading materials of this nature. But it’s the strategies of using the picture clues, looking for smaller words in big words and context which helps us with our comprehension. 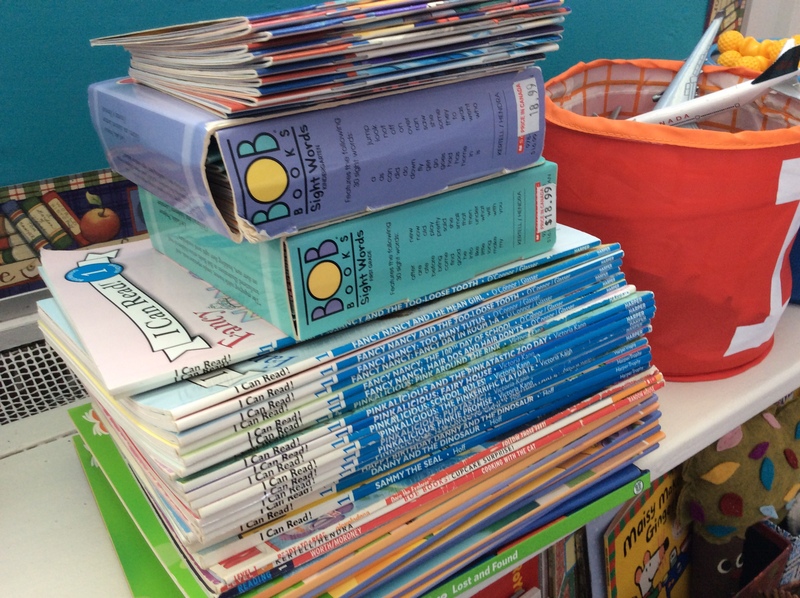 We also wanted to thank one of our Ridgeview families for donating this great stack of home readers to the Kindergarten. We’ll be adding these to the Home Reading baskets so gives our children even more choices when choosing their own books! 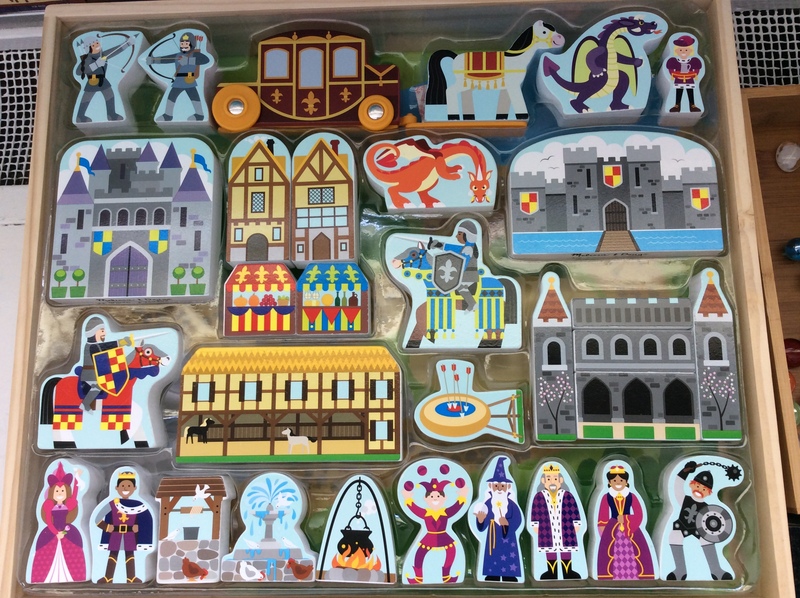 Using our Bonus Bank earnings from the Scholastic Book orders this year, we purchased this set of Melissa and Doug Fairy Tale Castle blocks. 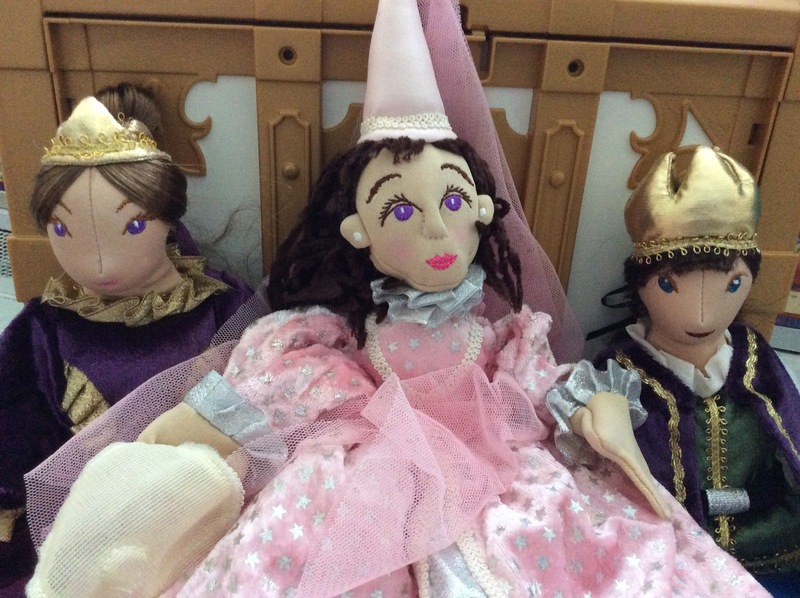 It’s gorgeous and sparking lots of fairy tale vocabulary – the children love the wishing well, the horse and carriage and the archers and creating fun scenes with pieces and acting them out. As everyone knows from the Reminds, we had a rockin’ day on Friday. We finished our tennis lessons this week. The children learned to use a tennis racquet, toss and catch the ball across the net and stay in their court. We had our class photos taken and were lucky to escape any rain during our panorama photo with the entire school. We had some additional schedule changes so Mrs. Daudlin’s class will have their Library Book Exchange on Monday as we were unable to fit it into Friday. We also moved Forest Friday to Monday as we ran out of steam for an outdoor playtime. Library Book Exchange is back to our regular day now, Wednesday. Forest Fridays continue with the good weather so please keep your rain boots at school. Keep the Tombola loot bags coming in! Our goal is to collect one from each student as the prizes from this fun Mayfair event! We’ve come to the end of our Numeracy Lessons; the last response page has been stapled into our Math books. It’s been a really busy time. We’ve focused on exploring numbers from 1-10 by counting sets, creating ways to show a specific number, looking for smaller numbers in the larger number, subitizing, matching sets to numerals and printing numerals correctly. You can read more about what we do to explore number here. We’ve used the teaching of number as another opportunity to integrate more children’s literature into our units of instruction. We’re definitely of the “so many books, so little time” way of thinking, and we want to provide as many oral language experiences through stories, rhymes and songs as we can, in every subject area. 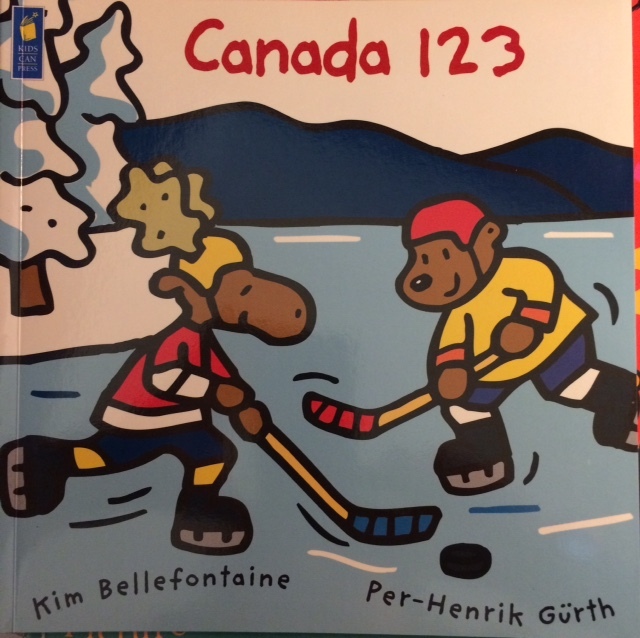 For our students, a good picture book is an amazing provocation: it’s a chance to connect our thinking and build common language around what we’re learningand it’s an experience we can all share and relate to no matter what our home language and cultural background may be. There are so many wonderful books available today and the children are really the ones who benefit. As their teachers, we try to read aloud only the best of what we can find. It’s our habit to read the entire book before purchasing if we can. We’re huge fans of Scholastic Books so of course it’s not always possible (we might have to buy sight unseen) unless we’re acquiring a book we’ve already read from the library. 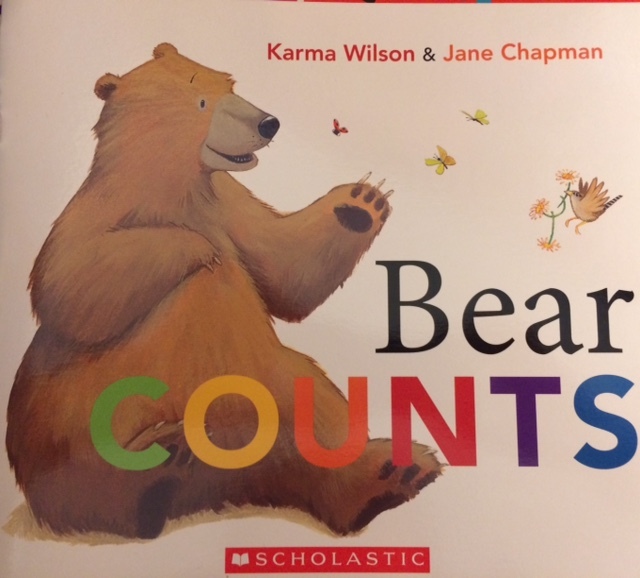 Today’s Counting Picture Books booklist includes classics new and old. 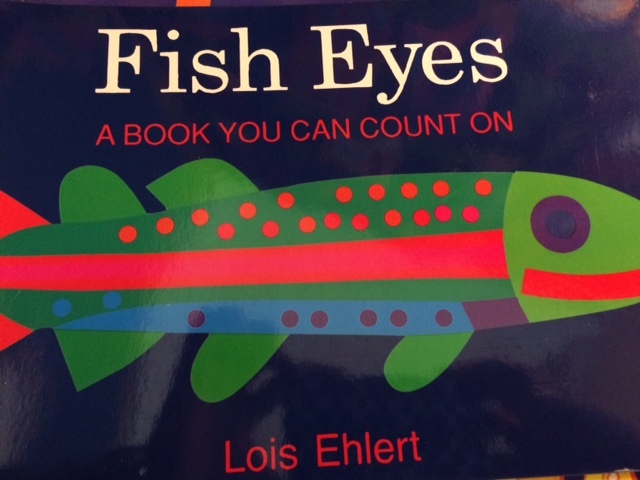 It is the tiniest of booklists compared to what is available for our children today. How lucky is that? !